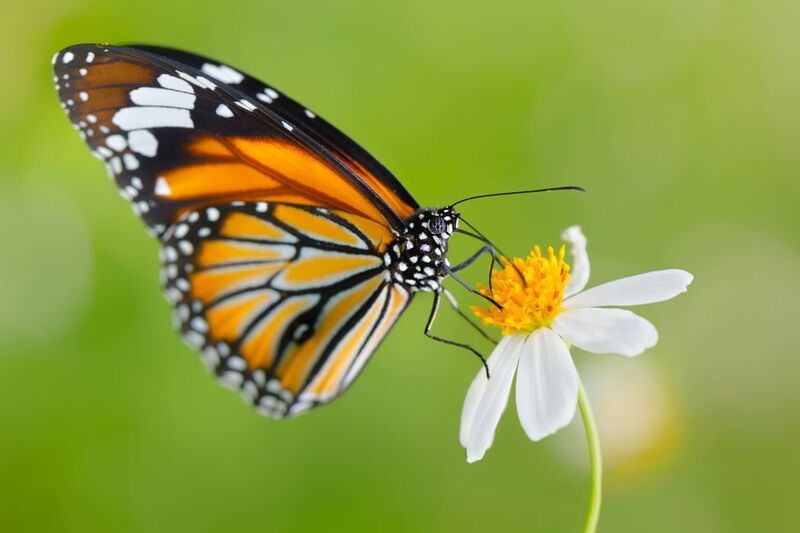 Every year, the Montreal Botanical Garden and the Montreal Insectarium join forces in the dead of winter to produce a popular attraction: Butterflies Go Free, one of Montreal's best winter events. The latter offers its insect expertise and the former, its facilities, making way for the release of up to 20,000 butterflies and moths in the confines of the Botanical Garden's climate-controlled greenhouses February through April, in many ways a symbolic herald of the city's eventual shift into spring. Attendees can expect to observe at least 50 of the 75 different species flying free at any given moment in the greenhouses. Up to 2,000 butterflies and moths are fluttering about every day. Most species on live display originate from the United States, Costa Rica, El Salvador, the Philippines, Malaysia, and Tanzania and require a balmy, humid temperature ranging from 24ºC to 29ºC (75ºF to 84ºF) to stay alive. Factor in the humidex and you can expect Botanical Garden greenhouses to feel more like 25ºC to 36ºC (77ºF to 97ºF) so if you're intent on feeling comfortable during your visit, you might want to dress the part. Layer that seasonally appropriate wool sweater with a summery t-shirt or tank underneath. Typically mid-February to late-April each year. Regular Montreal Botanical Garden admission fees grant access to Butterflies Go Free. Anytime is a good time. However, butterflies are most active in the morning, when it's sunny outside, and when air pressure shifts. So if the weather forecast mentions an incoming high-pressure system in the morning complemented by a sunny, off-the-charts UV index, well, that's your cue. Note that ten-minute presentations describing butterfly behavior are offered on the hour in the main exhibition greenhouse. Both the Montreal Botanical Garden and Montreal Insectarium are located a block away from the Olympic Park and its multiple attractions and Parc Maisonneuve, a choice ice skating destination. Turn a visit to the Butterflies Go Free exhibit into a day trip with a drop-in at Montreal Biodome which recreates an Amazon rainforest, the South Pole, and other ecosystems found in the Americas. Then catch an immersive astronomy film at the nearby Montreal Planetarium. The Olympic Park Esplanade also features an ice rink in the winter and an assortment of events and activities throughout the rest of the year.